Volunteering in Nepal is the perfect opportunity to discover the amazing landscape of the Himalayas and the country’s cultural heritage while doing something meaningful. You want to experience the culture from up close? Teach English to monks in Buddhist monasteries and get an insight into their daily life and their religion. Little landlocked Nepal is home to eight of the ten highest of the world’s mountains. Since the country opened her doors to in 1949, it has been the ultimate destination for mountaineers and trekkers from all over the world. Not only this, but the varied landscape and rich culture and wildlife continue to fascinate and entrance those who visit. After the devastating earthquake in 2015, volunteers are much needed. Join a construction project to rebuild Nepalese communities and protect the ancient sites in Kathmandu. Not for you? Then work for a medical project and support the local health system. As a volunteer/intern, you will be placed with a Nepali host family, Either Buddhist Monastery where you will live while you help within the community to teach English in schools, orphanages or to women and youth. You will work also agriculture within the local community.Your home-stay will allow you to become immersed in Nepali culture and language and will provide a solid foundation for your travels. During this time you will have the opportunity to explore Kathmandu. 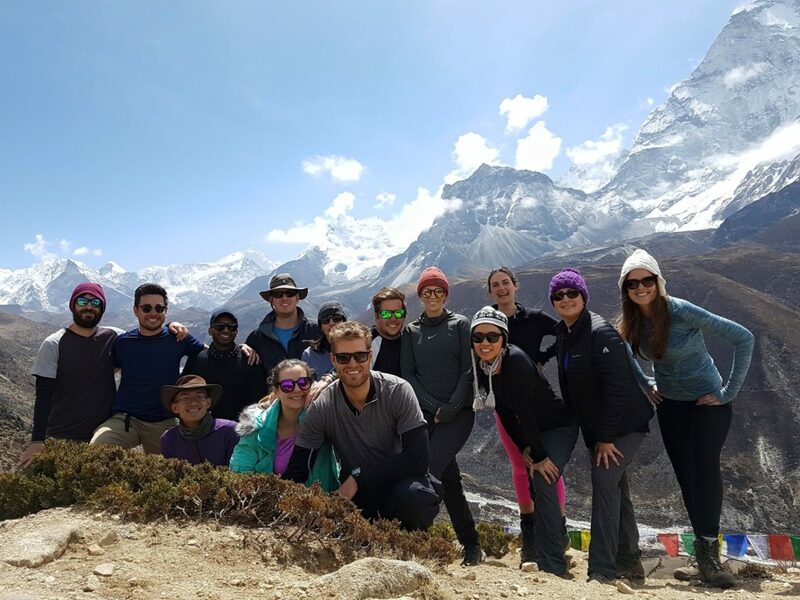 Once, your placement is over, you will embark on one of Nepal’s most prestigious and popular treks, either to Annapurna Base Camp or Everest Base Camp. After your arrival in Nepal first few days you will stay in our hostel or hotel in Kathmandu. We will give you volunteer project orientation and trekking orientation class at WVN office. We can make your perfect Scheduele combined with Volunteer placement and trekking tour or part of any other tour destination. We are working hard with all our local partner for making easier for volunteer and we give them 24/7 local support wherever their work placement. And you will have 24 hour access to contact and support from our staff members during your placement and trek. day 19th: Drive to Nayapul and trek to Tikhedunga (Altitude 1525m) about 3 hours of easy walk. day 24th: Trek to Deurali (Altitude 3230m) 6-7 hrs walk. day 25th: Trek to ABC (Annapurna Base Camp) Elevation 4130m, walk 5-6 hrs. day 26th: Trek down to Dovan – Bamboo/2310m. 6-7 hrs walk. day 27th: Trek to Jhinu/17800m, 6-7 hr4s walk. day 28th: Trek to Nayapul and drive to Pokhara by car. day 29th: Drive to Kathmandu. We have lunch on the way to Kathmandu. Shop some souvenir for dear ones back home and enjoy last hours in Nepal. Stay overnight at hotel. Day 07: Trek to Dingboche (4410m); 5 hours walk. Day 09: Trek to Lobuche (4910m) 5-6 hours walk. Day 10: Trek to Gorakshep (5160m); 2-3 hours walk. Day 11: Hike up to Kalapathr 95545m) and trek to Pheriche 5-6hours walk. Day 12: Trek to Namche (3870m); 6-7 hours walk. Day 13: Trek to Lukla (2800m), 7-8 hours walk. If you have your own Schedule we will be happy to flow up or we can make together your schedule.